A duo of University of Pennsylvania scientists have stepped out with multi-million dollar backing from investors including AbbVie, on a mission to kill tumour cells using re-engineered macrophages. 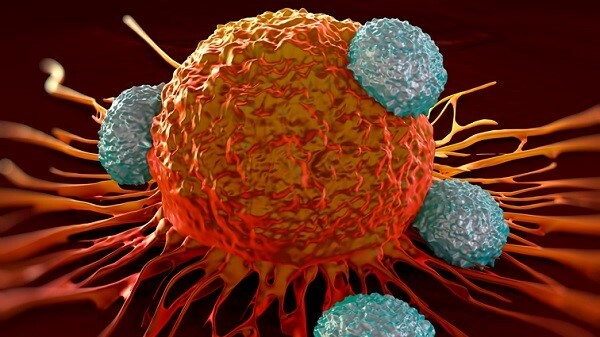 Philadelphia-based Carma Therapeutics was launched last year by Michael Klichinky and Saar Gill to bring the power of adoptive cellular immunotherapy to solid tumour patients through a novel platform using chimeric antigen receptor macrophages (CARMA). Their unusual approach to fighting tumour cells attracted serious investors resulting in $53 million funding, led by AbbVie Ventures, and a re-brand to Carisma Therapeutics. The long investors list includes: IP Group, Penn Medicine, Grazia Equity, Wellington Partners, TPG Biotech, MRL Ventures Fund and Agent Capital. Series A financing will enable Carisma to expand its technology platform and rapidly drive its programs toward clinical development. They are focused on proprietary CAR-Macrophage platform – the first technology to combine antigen recognition with the effector function of macrophages. Macrophages have ability to easily penetrate tissue and eliminate cells as needed. Since they can reach the tumour site, scientists are hoping to extract them, re-engineer them with CAR targeting tech, and deliver them back to the patient body. The Carisma management team also includes Dora Mitchell, as head of operations and Daniel Cushing, heading development. Carisma is continuing to build its team and currently recruiting a CSO and a CMO. Initial applications for therapeutic candidates will be in the treatment of solid tumors. Other potential applications include the disruption of protein aggregates in multiple disease states. The company plans to initiate Phase 1 testing in 2019. The University of Pennsylvania is recognised as playing a key role in the development of the first wave of cell therapies to hit the market. Carl June, the university’s director of translational research, designed the therapy that eventually became Novartis’ Kymriah, a chimeric antigen receptor T-cell (CAR-T) therapy that is now approved in two kinds of blood cancer.